On 1 July 2019, there will be changes to the way in which the building permit levy is paid to the Victorian Building Authority (VBA) and Building surveyors will be required to obtain a building permit number from the VBA before issuing a building permit. Building surveyors can only issue building permits after they have applied to the VBA for a building permit number. 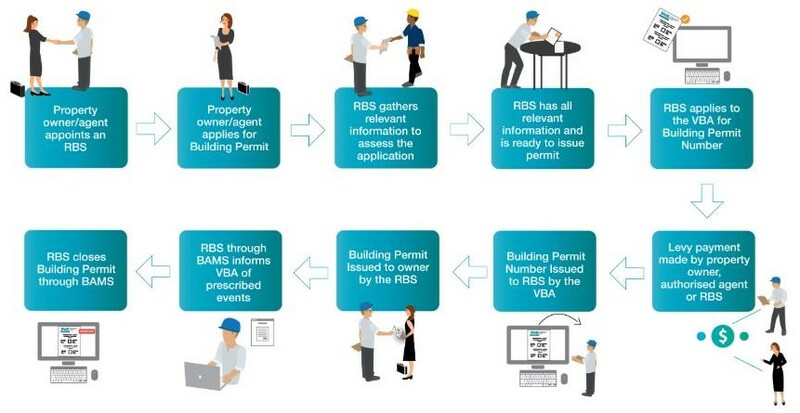 A building permit number will only be issued by the VBA once all required information has been provided and the building permit levy has been paid. Building permit levies will be paid directly to the VBA by the applicant for a building permit or the agent acting on their behalf, rather than the current process whereby the building surveyor collects levies directly and remits monies collected to the VBA monthly. Applicants and owners will be required to notify the VBA if building costs have increased after the issue of a building permit due to a variation to the building work. Where no amendment to the building permit is required, the owner of the building or land must notify the VBA within 28 days after the owner becomes aware of the increase in cost. Where there is an amendment to the building permit, the applicant must notify the VBA within 28 days after the applicant becomes aware of the increase in cost. The VBA will also have new powers to assess and recover a building permit levy for unauthorised building work carried out without a permit. In this situation, the VBA may also determine that a penalty levy will apply and can recover the costs of assessing the levy. The building levy is calculated at 0.128% of the total construction cost including GST where the cost of the building work is greater than $10,000.